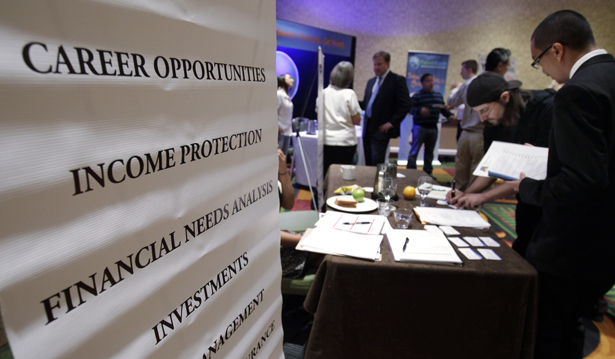 The numbers are ticking upward, but a real recovery remains elusive inside Washington. The economy added 163,000 jobs in July, a notable uptick from the 80,000 added in June and well above the prediction that 100,000 jobs would be added. After several months of slumping numbers, it could mean the slide has been arrested—which is good news—but this is not the start of a real recovery. 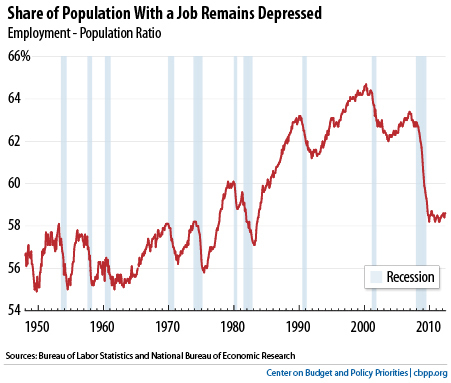 All year, the economy has been adding jobs roughly around the level needed to keep up with population gains—sometimes more, as was the case in June and earlier this year, sometimes less, as was true in the spring and early summer months. Unfortunately, that response remains elusive. We can guarantee it won’t come if Republicans regain control of the government in November—an analysis out this week from the Center for American Progress found that Mitt Romney’s economic plan, with deep cuts in federal spending and tax hikes for middle-income earners, would strip 360,000 jobs in 2013 alone. Obama has a noble jobs plan calling for investment in public sector hiring and the creation of an infrastructure bank. It would create 1.9 million jobs in the first year, which is wonderful for those people and should be enacted—but 25 million people are unable to find full-time work, so more will be needed. And just this week we saw how hard it can be for the administration to move Washington forward on jobs anyhow. The Federal Reserve declined to take any action on unemployment, despite professed concern for the economy. And FHFA head Edward DeMarco declined to throw a lifeline to underwater homeowners involved with Fannie and Freddie—those two agencies won’t be offering any write-downs despite proven benefits to both homeowners and taxpayers. Congress, meanwhile, has adjourned without passing a farm bill, without rescuing the US Post Office, to say nothing of actually enacting real jobs legislation. (It did prepare to consider a bill making English language the country’s official language, though).